Ed. note: After a good run of 42 issues, our magazine app is no longer available, but we’ve archived the content starting with issue 00 here on our blog. This is the about that kicked the mag off. Back in the day, when blogging emerged to disrupt traditional media, David Jacobs and I published blogs together with Movable Type. That was an era that helped change how business was done. Working together to publish a magazine, David and I are changing it up again with a strongly independent, bike-centered focus. The spirit is the same as that early work and now in a different medium and ad-free. We’re like an indie label that doesn’t want to sell out but reach a larger audience. David’s company, 29th Street Publishing, runs the platform that publishes the magazine on iOS devices for us. 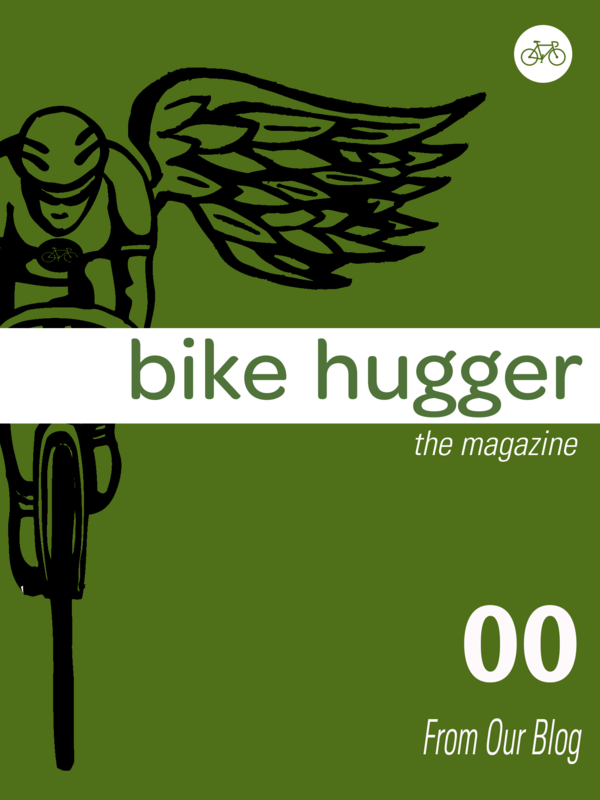 My blog, Bike Hugger, supplies the content, and this free issue includes a sample of our writing and opinions from the past seven years. In the 01 Launch issue, available now, we’ve got a full-length feature on Budnitz Bicycles and whether the world needs a $6,000 cruiser; a look at the world of high-end cycling enthusiasts in the post-Lance era and how companies like Rapha are shaping the next wave of cycling enthusiasts. Also reviews of our go-to, must-have gear and a Mark V rant with some great street photography. Your subscriptions support this magazine that’ll feature more long-form writing, photos and product reviews, editorials, and essays. The content is exclusive to the magazine and written just for subscribers like you without any advertisers or advertiser-based spin. We hope you enjoy the magazine as much as we did creating it. To us it’s like we’ve got a brand new bike, that’s taking us to even more interesting places and you’re welcome to join the ride.